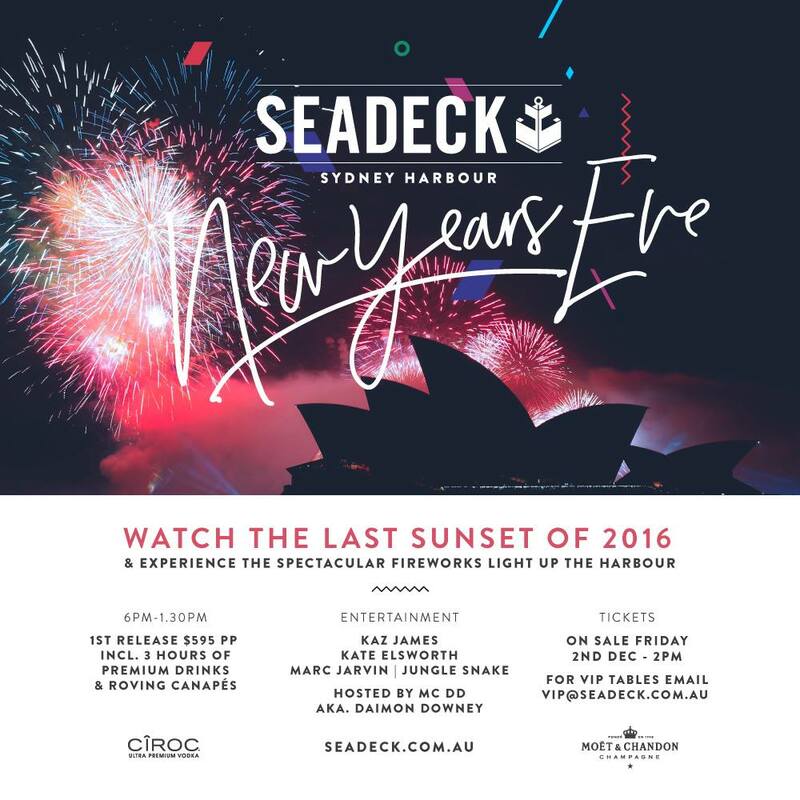 Add a touch of glamour to your NYE celebrations and spend the evening aboard Seadeck watching the last sunset of 2016 on the harbour before witnessing the spectacular 9pm and midnight fireworks. 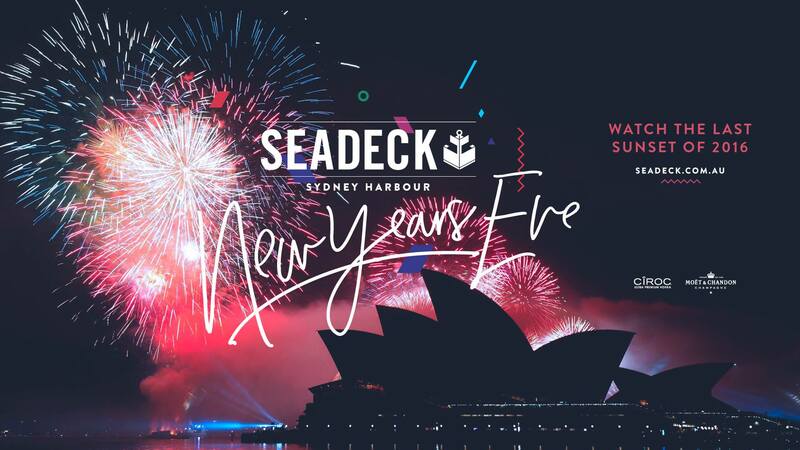 Measuring 42 meters, Seadeck has 3 vast open decks from which to enjoy unrestricted 360 degree views of Sydney’s iconic harbour. 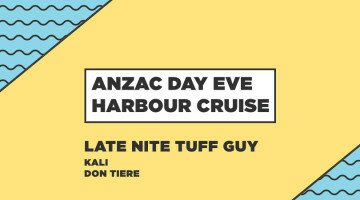 Seadeck’s Executive Chef Drew Bolton has prepared a custom menu which includes 3 hours of roving canapés. VIP NYE Table Bookings: Book a VIP table and take your SEADECK experience to a whole new level – we have a number of private tables available affording you and your guests an exclusive space to enjoy the evening along with the best view of the fireworks and our main deck.